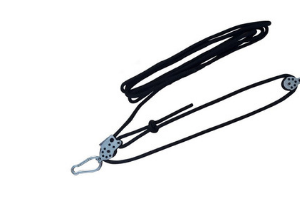 All sails come with a carabiner per angle. 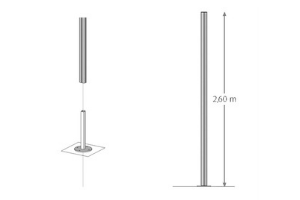 - adjustable masts : they allow to create a point of fixation outside the walls. - reinforced long : in all other cases for sails Austral 340 and Acryl 300. 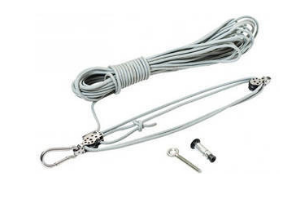 - hanging system for all other walls (concrete, brick, stone, block ...). Attention : for Siporex cellular concrete walls it is advisable to choose this attachment system but to make a chemical seal in place of the use of the expansion anchor). mast base to be sealed : mast to be sealed in a block of concrete (not supplied) square of 40 cm of side in loose ground; it is the strongest mast. 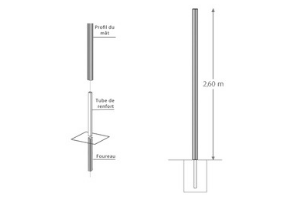 There are two reinforcing tubes to the mast: 120 cm for the sails to 18m, and 260 cm per our larger sails. 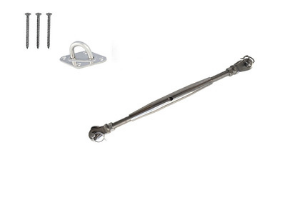 This mast can be mounted straight (90 °) or inclined (75 °). 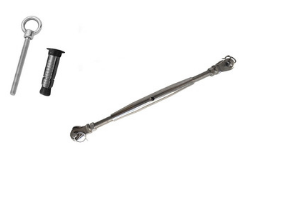 - Mast base to screw : mast to screw on a hard ground. There are two versions: right (90 °) or inclined (75 °). 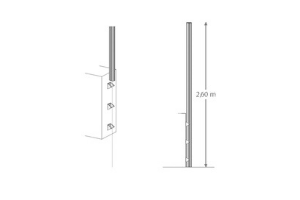 - mast baseplate wall plates : mast to fix on a wall of 70 cm minimum. - Mast with wall plates: tube inside the mast from 18m ² of sail. 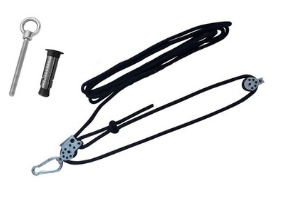 We recommend that you put a reinforced tension system at every angle. 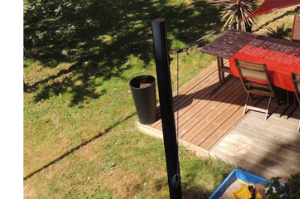 You are free to take the tension system alone or to associate it with a hanging system or mast depending on your situation. 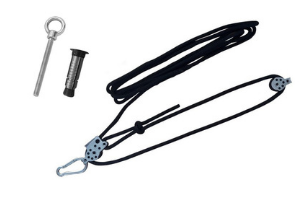 We do not recommend using a short tension system in this case because its travel is not large enough to tighten the sail, which can extend slightly a few times after use. 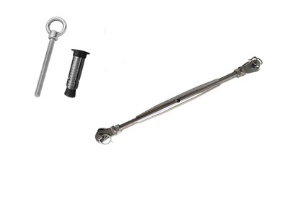 NB: the short attachment is the one on which there will be the line of maneuver used to use the retractor. Where possible, we recommend a wall mount rather than a mast.